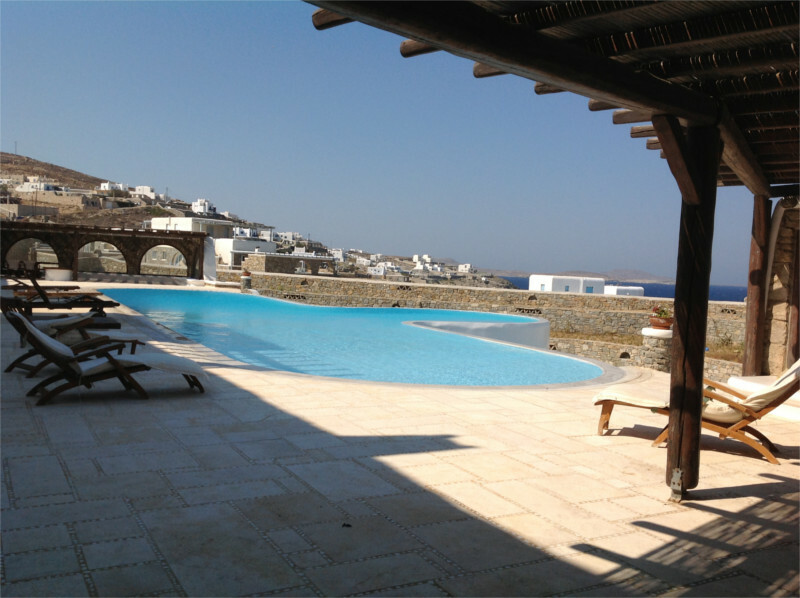 Vacation in Mykonos’ most exclusive community! 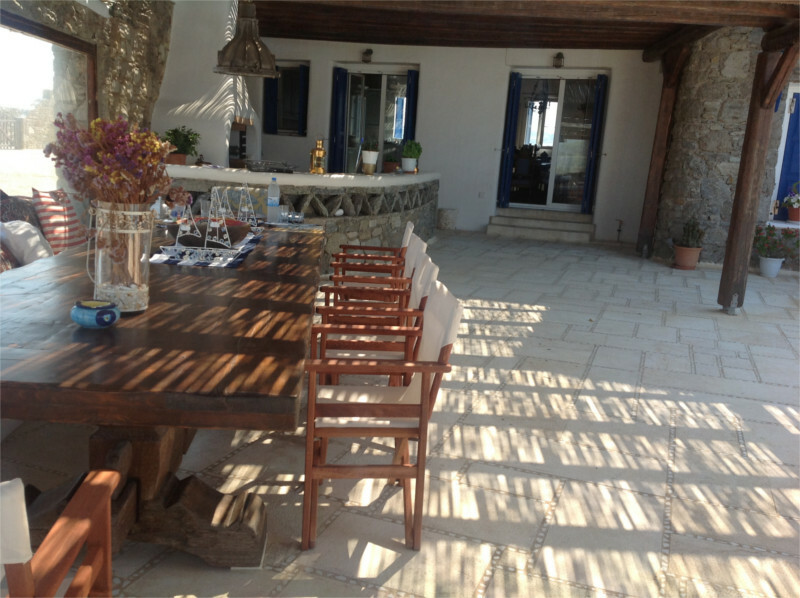 Magnificent views of Delos, Tinos and the Aegean Sea from this sprawling villa only 5 minutes from Mykonos Town. 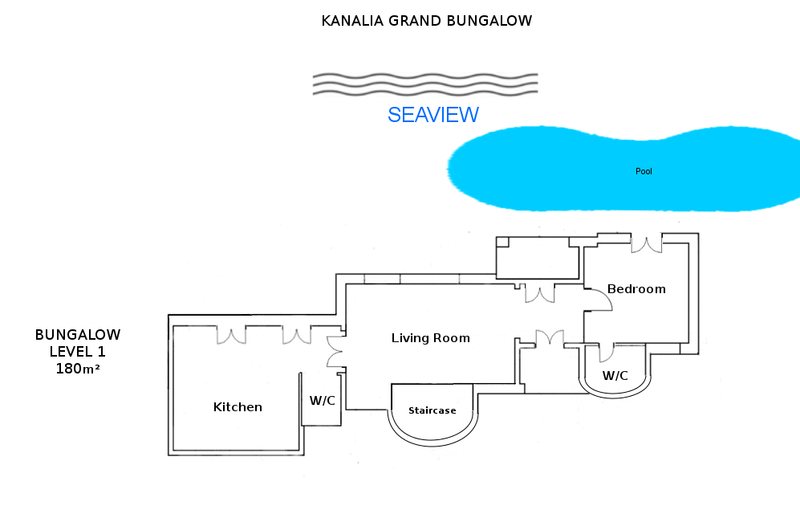 The villa is on a semi-private property shared by another villa and an enormous pool. The villa has three large bedrooms with 5 baths, a full kitchen, inside as well as outside dining area that can seat up to 8. 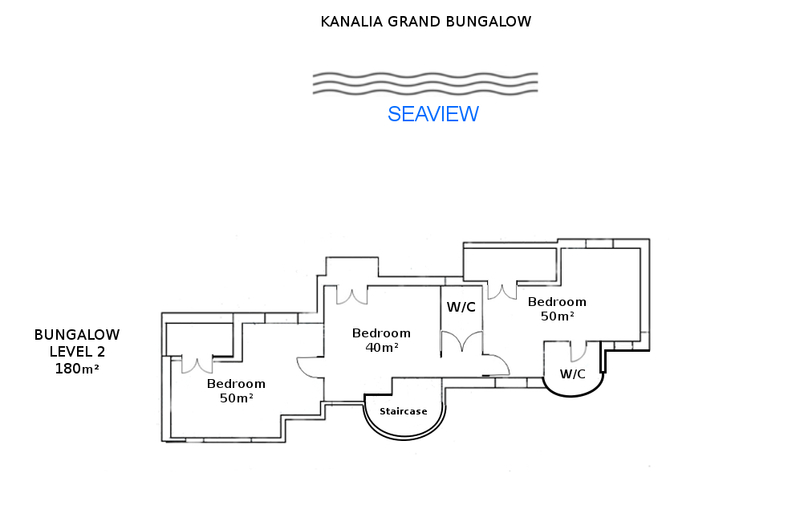 A large living room inside with a fireplace as well as office that can covert into a fourth bedroom if needed with a full bath. Each bedroom has a private balcony and each area of the home opens onto the outdoor patio and pool area. The outdoor area also has a bar and grill for outdoor entertaining.